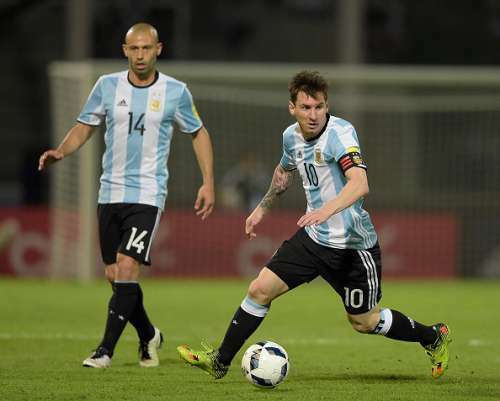 Barcelona defender Javier Mascherano has leapt to the defence of teammate Leo Messi, noting that criticism of the Argentinian is without foundation. Messi has gone a few games without scoring and hence has copped some criticism from the Spanish press, but Mascherano has grown tired of even considering the critics seriously. Messi has gone 362 minutes without a goal, his longest run without scoring a goal in 5 years, when he went 417 minutes without scoring in April and May 2011. The Argentine superstar’s poor run of form has coincided with Barcelona's woblle, with the Blaugrana blowing a sizable lead in La Liga to only 3 points, while Atletico also have a chance of knocking out Barcelona in the UEFA Champions League.